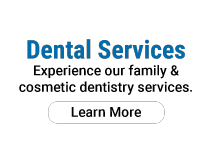 Enjoy whole-family dental services from one of Edmonton’s most trusted dental clinics. At Wittmeier Dental, your complete oral health is attended to by a team of professional dentists and dental hygienists who are committed solely to your needs. With more than 30 years of experience serving patients in Bonnie Doon and throughout Edmonton, we provide a variety of oral health services, ranging from routine cleanings and cavity treatment to cosmetic dentistry. We also offer teeth whitening for a whiter, brighter smile and the advanced Invisalign® teeth straightening system. We know that emergencies don’t make appointments; using the latest technologies, our clinic is capable and ready to handle your urgent dental needs quickly and expertly. Our full service dental clinic offers plenty of free parking and is easily accessible. We are currently accepting new patients. Contact us today to schedule an appointment with Dr. Laura Tai or Dr. Richard Roque.